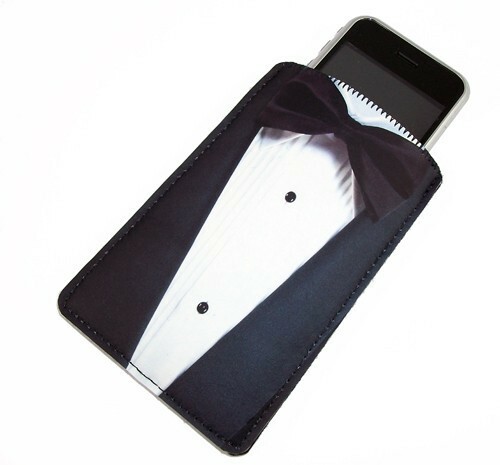 Tuxedo Formal Gadget Case, for you know classy events! Is your gadget case not formal enough to carry around at the more classy events? Well never fear with the tuxedo gadget case. It fits your iPhone, iPod Touch, HTC, Eris, Env and more. So no matter where you are going your gadget case can be up with the dress and not seem out of place. I mean come on everyone else get’s to look all nice and your device is left feeling dumb and completely under dressed. Do let your device feel out of place at your next formal event.